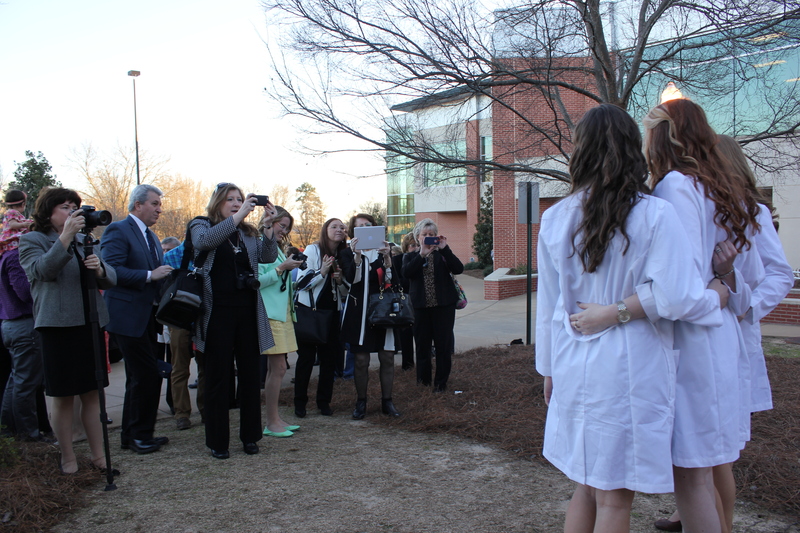 Students in their third year of professional education at the College of Veterinary Medicine received their Whit e Coats in a ceremony on Saturday, Jan. 30. 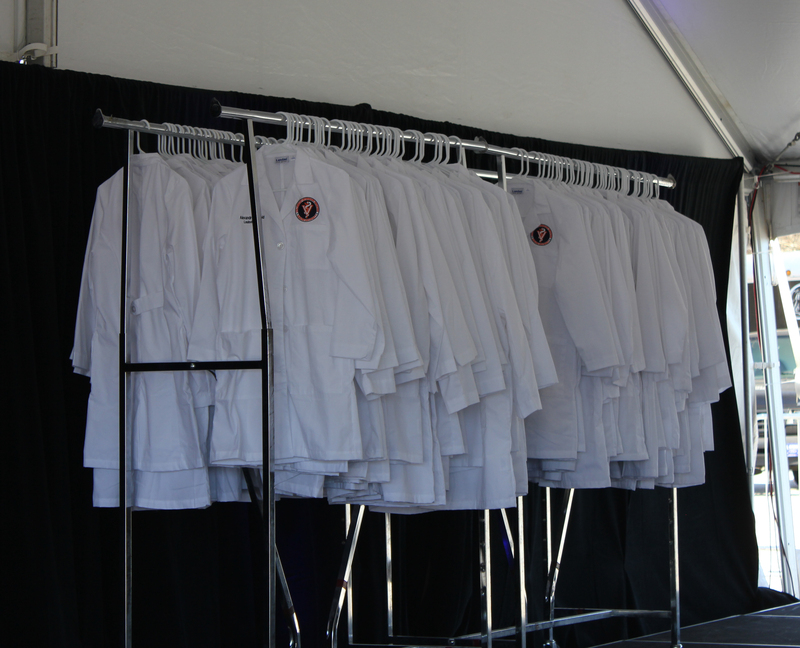 For the 120-member Class of 2017, the ceremony acknowledges a point of transition from classroom study to clinical work. To watch the recorded program, click here. To view more photographs, view them on the college’s Facebook page. 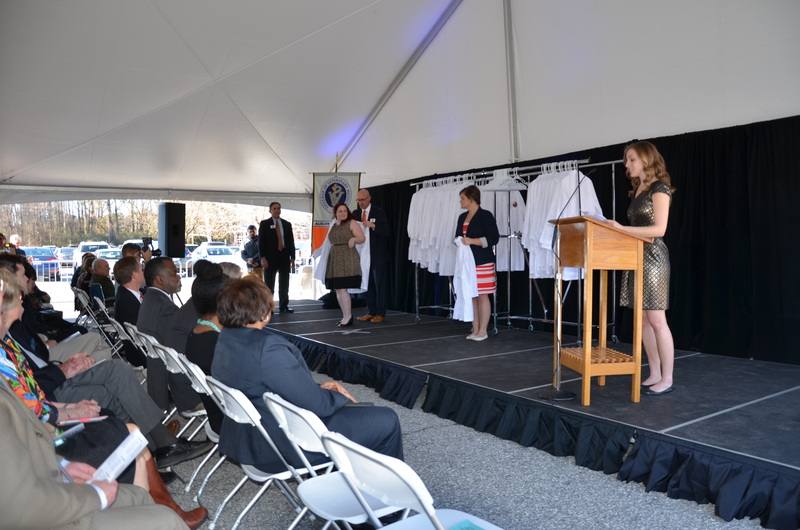 During the ceremony, Dr. Dan Givens, associate dean for Academic Affairs at the College of Veterinary Medicine, reviewed the traditions and goals of the profession, and the significance of the veterinary profession in providing for a healthy society. 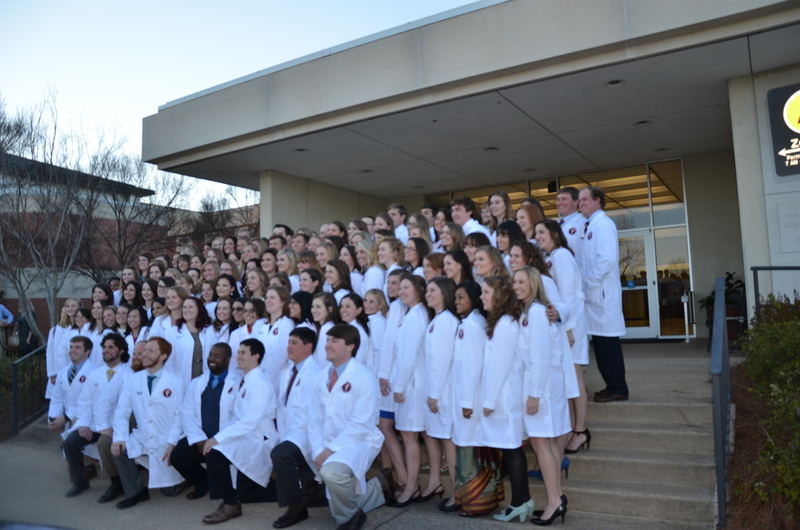 Dean Calvin Johnson welcomed the more than 800 family members and guests, which included representatives from the Alabama Veterinary Medical Association, the Kentucky Veterinary Medical Association and the Tuskegee University School of Veterinary Medicine.